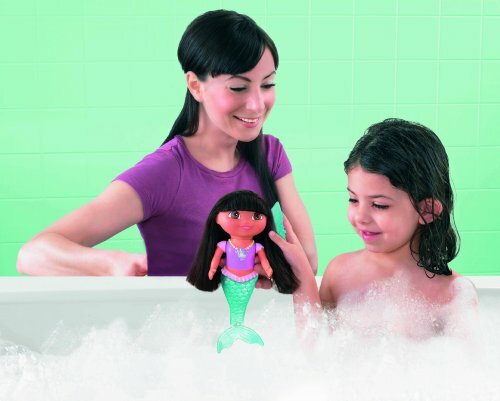 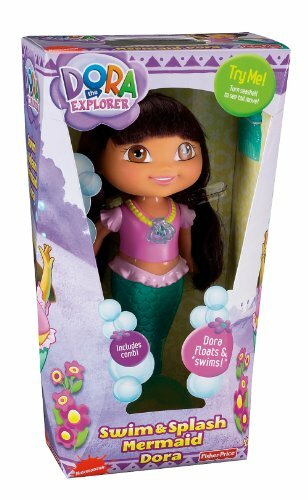 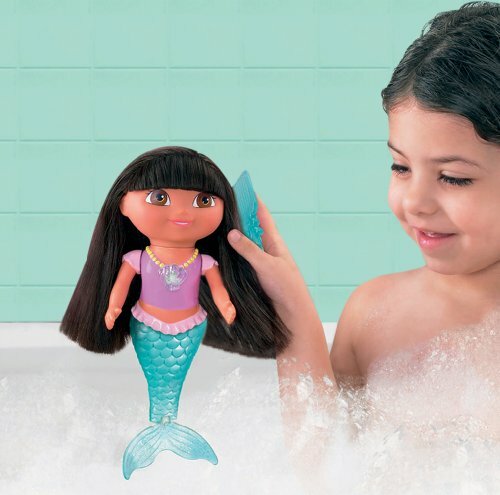 Little girls will love getting bathtime adventures using the magical Mermaid Dora Bath Toy. 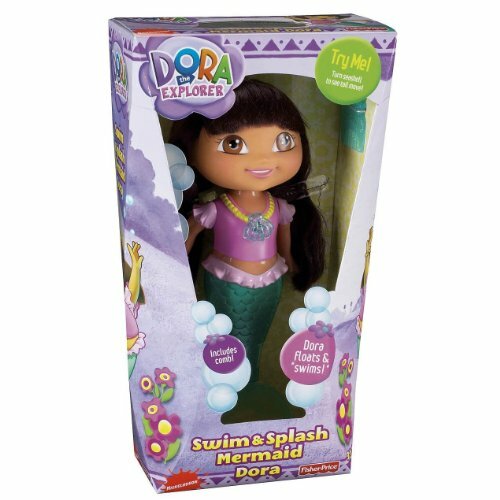 Wind up Mermaid Dora's seashell necklace and watch her tail flap as she swims! 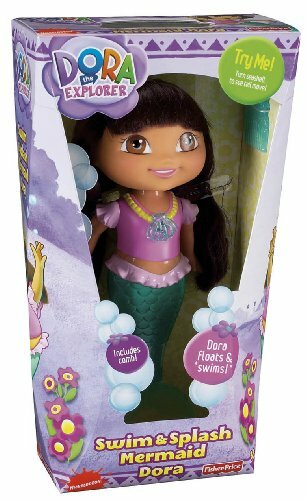 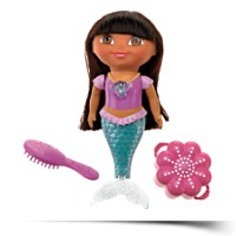 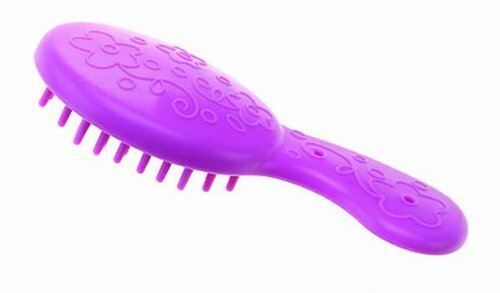 Mermaid Dora comes with a comb for her beautiful rooted hair. 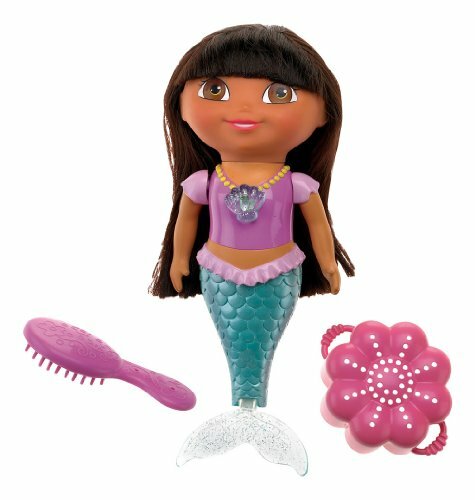 Mermaid Dora has a wind up seashell necklace and mermaid tail that truly works.